NEW YORK, June 5 (APP): US Senator and former Democratic presidential candidate Bernie Sanders has called for an end to Israel’s “50-year occupation” of Palestine, saying peace means security for both Israelis and Palestinians. “We are now in the 50th year of Israel’s occupation, an occupation which denies basic Palestinian rights while failing to deliver Israel real security,Sanders said in a video message to Israel’s left-wing Meretz party. The five-minute video was broadcast at a conference Sunday marking the end of the Six Day Arab-Israeli War in 1967 and “50 years of Occupation”. “I know so many of you agree with me when I say: this occupation must end. 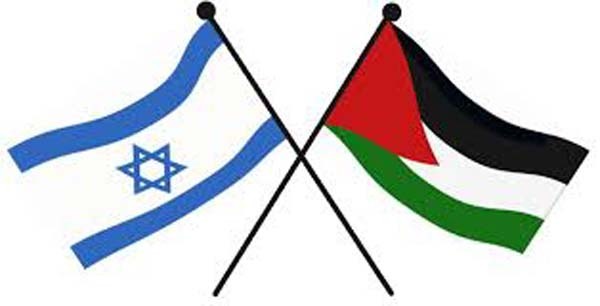 Peace – real peace – means security not only for every Israeli, but for every Palestinian. It means supporting self-determination, civil rights and economic well-being for both peoples,” he added. Uri Zaki, chairman of the Meretz central committee, praised Sanders for stating the truth about occupation and said the party also holds the same view. Sanders, a leftist politician who is Jewish, took the opportunity to attack US President Donald Trump, who has voiced strong support for Israeli Prime Minister Benjamin Netanyahu while turning a blind eye on the Tel Aviv regime’s undermining of the so-called peace process. Sanders warned that “demagogues who are scapegoating minorities” were on the rise, citing Trump and his visa ban against citizens of several Muslim countries as an example.